My notebook list of topics and things that I want to either mention, praise, or rant about is filling a whole page which means it's time for another Random Threads post. By the way if you are new to this blog, the previous edition of Random Threads is here. If you haven't read that it's entertaining to read the comments and see that the issue of evolving sewing terminology is something that everyone has an opinion about. Basting - Do you do it? With every year and every garment sewn I am more and more convinced about the benefits of basting a garment together. At my last knit t-shirt class I had a number of people who were just past beginners, and not at all familiar with sewing knits. I asked them to baste at a couple of points in the construction, to attach the neckband, and then when putting on the sleeves. They thought it seemed like extra work but I said try it. Why baste the neckband? Who hasn't had one of those little blips where you are happily sewing along and all seems well, then you turn it over and see this? Or perhaps putting in the sleeve and not having any success with distributing the sleeve cap ease. Or trying to make a skirt more fitted and stitch it up with tight little stitches and then put it on and realize you need another inch? Basting takes just a few minutes. It actually goes quite quickly since the stitch length is longer. Then a quick examination or a try-on to check fit and it all is OK you can sew the whole seam with NO pins - which is also quicker and easier. Without exception I pin sleeves in a garment, then machine baste, sewing over the pins (yep I do that most all the time) and then after removing all the pins I can carefully examine the sleeve, see how the cap looks, make sure I didn't make the seam allowance too wide which is kind of easy to do on a tight curve. Then all the little fixes can be taken care of by snipping out the basting stitches in the section that needs attention. I even usually do the basting in a contrast color, so I can really see it on the fabric, and then sew the real stitching just a fraction to the side, so that there is no need to remove the basting. Anyway by the end of the class I had convinced a few about basting and their final neckbands looked great. Here's an example of basting, on a side seam, I baste, try on, straighten out the transition from one seam to another, and then when it fits as I want - then I sew it up with a regular stitch length. The Walking Foot: What's up with the devotion to a walking foot? I have never used it! This subject is definitely a "to each her own - whatever works for you" type of topic. Every week I see mention of this with people saving up their sewing $$ to buy the Bernina walking foot which must include the precious sewing magic dust to sprinkle over each project for sewing success. OK - I'm being a little sarcastic but I wonder what I'm missing. Or conversely that I have never needed it for any garment sewing that I've done. I think my philosophy toward sewing is similar to the way I also feel about cooking. It's less about tools and more about having the basics that you use to make any and everything. Perhaps it's also how you learned, if you didn't have a certain tool then you learned to do it the - dare I say - old-fashioned way and it still works. That may be why I don't use the serger all that much. It is handy for finishing ravel-y fabrics like denim but other than that I don't like to use it. 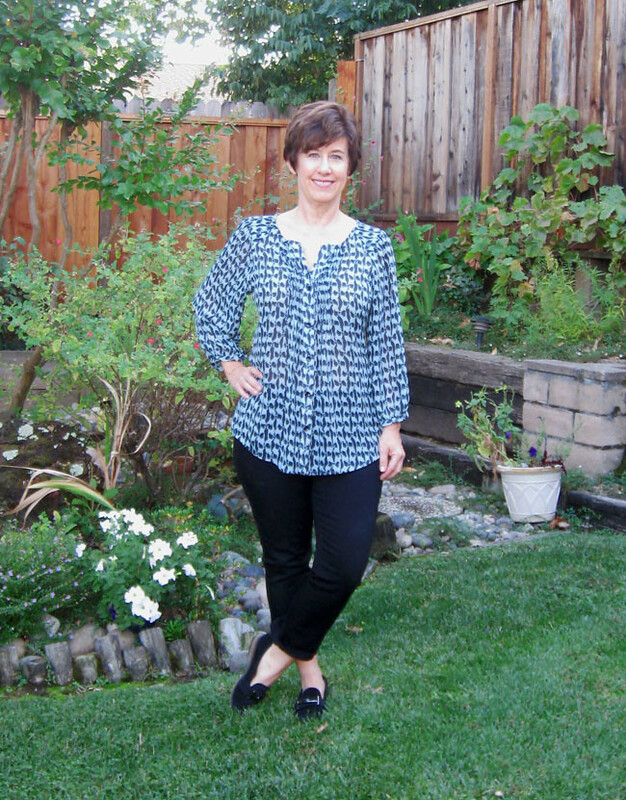 Patterns that are the same: Recently I saw a new indie pattern release and it looked exactly the same as a New Look knit top I made a couple of years ago (which is still available). This week I saw the new Colette dress pattern, one that has so many virtually identical cousins available in other pattern companies, from Burda to Vogue to plenty of other indies. Do you have loyalty to a specific pattern company and then wait for them to release a specific type of garment? Is it the pictures of the samples that sells you on a specific pattern? I mostly look at the line drawings to decide on patterns, and am always looking for interesting or new details. Having said this before, I am kind of over PDF patterns. The printing/taping part is just so annoying to me. 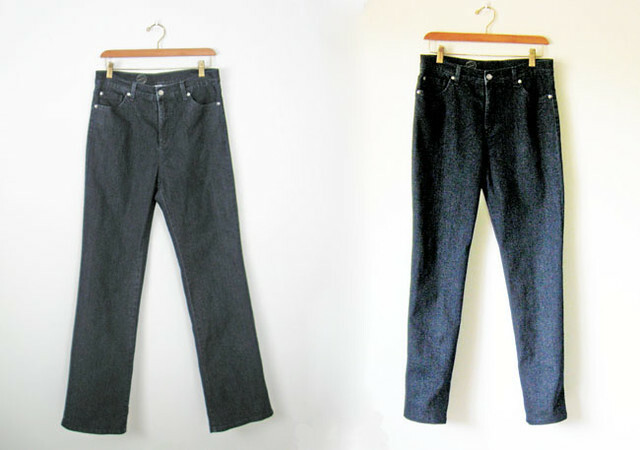 Refashioners: the things that people make by refashioning something is just fantastic. This year it appears the challenge was to refashion a men's tailored suit into something different and wearable. What a great place to start. Last year it was denim jeans and I thought that was great as well. What could be next year's starting point? 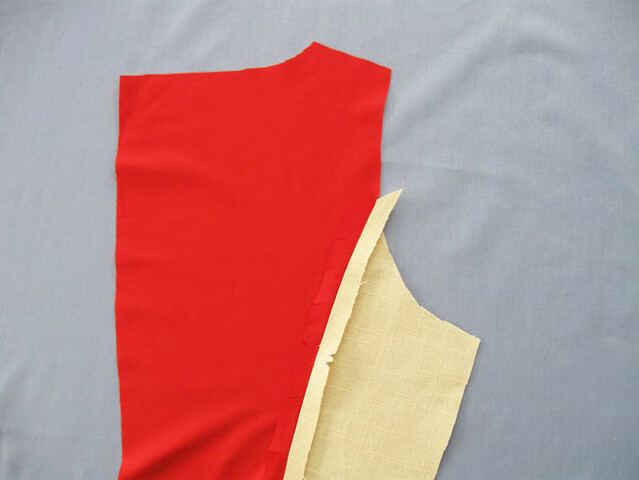 Sewing sleeves flat: I generally sew all sleeves in the round. 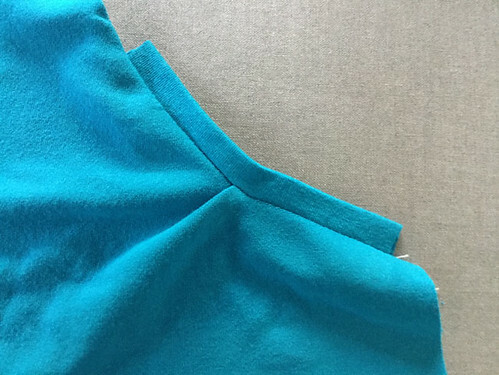 Meaning that the side seam and sleeve seam are sewn up, and then the circle of the sleeve is joined to the circle of the armhole on the garment. Recently I saw a post with someone sewing a woven sleeve into a woven fabric garment in the flat way. I object! Have you done this? Do you think it works out OK? and then what about the dominant seam? i.e. the long seam continuing from sleeve down the side. It seems a less elegant finish to a garment and I don't even do it on knits. Hey, I am slapdash with my sock drawer but not with my seams! Are the 80's back? Oh I hope not! Whenever I go to a garage sale or some other spot where you can browse though boxes of older patterns selling for pennies, there are so many hideous 80's patterns! I can't get past the shoulder pads and the shapelessness. Certainly every era including the 80's had interesting clothes but you would not guess that from looking at the sewing patterns from that era. 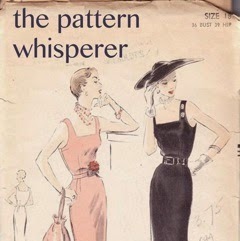 However the 60's patterns I come across are often super cute and wearable. And the older ones 40's and 50's have such interesting details. Let's skip the 80's revival, please! Check out this website: TheThackery Craftsy asked me to write a post on sewing with cork fabric. And I said Ok, but what is it? ha ha, did some googling and pinteresting (a word I just made up) and the cork fabric looked interesting. I ordered some cork fabric from an eBay seller and in the package was a business card for The Thackery. So I looked at the site and they sell the cork fabric and a bunch of other cool stuff, art supplies, magnets, very classy looking Italian sewing shears. 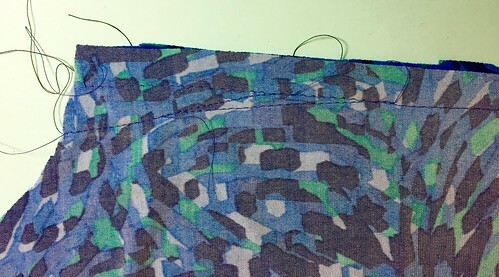 Here's a look at sewing the cork fabric, it sews like a dream, really easy to work with and it just might convince me to make a handbag, or something like that. The natural cork with tiny metallic splatters on it is so pretty - would make a great clutch bag for summer. Once again I am slightly concerned that I sound super cranky in this post - but based on the fact that these Random Threads get more comments than any of my other posts we all need to vent a little bit! And I didn't even get to these topics: Stretch thread...necessary? worthwhile? marketing gimmick? 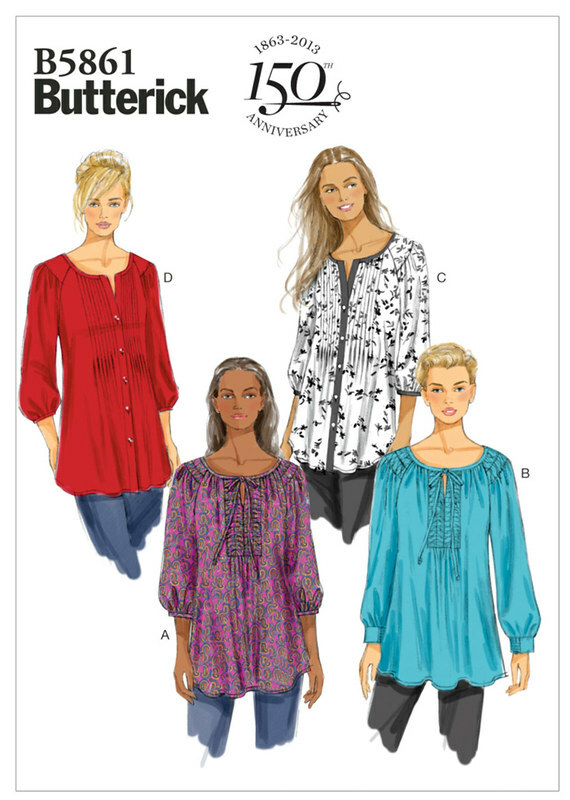 How about new pattern releases - I'm starting to think that I am completed jaded with new pattern releases, even from my usual favorites Vogue and Burda. (Once again I turn to the thesaurus and see all the alternatives for that word "jaded", meaning weary, glutted, inured, unmoved, blasé. ) Yes all those things exactly! Or perhaps it's that it is fall/winter and come spring I will find all kinds of new patterns to tempt me. Very likely! Up next, a new shirt using fabric I bought at Mood last October, a knit dress using fabric I bought at Stone Mountain last month, and after that who knows. 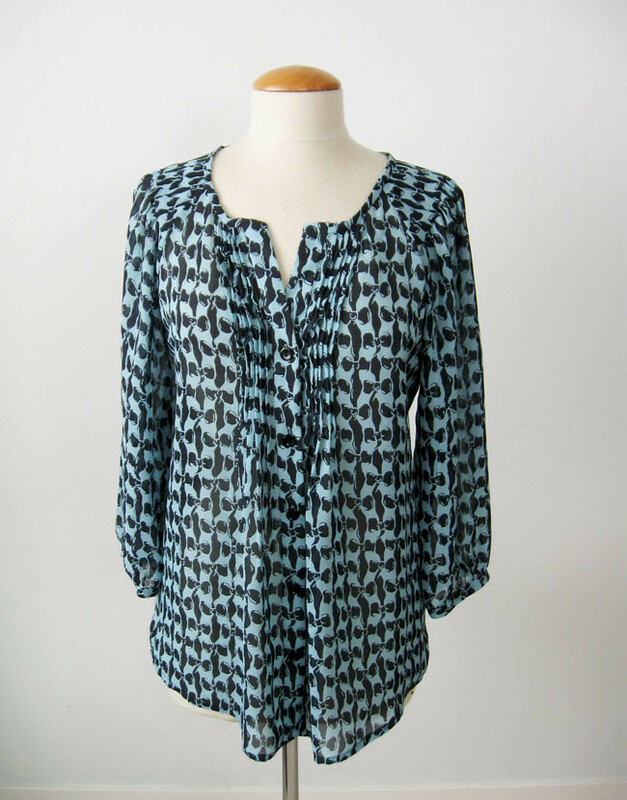 This Saturday is the start of our Button Front Shirt class at Hello Stitch Studio in Berkeley which is sold out (although we will be scheduling this one regularly as it fills up) In the afternoon is the Knit Dress class which I think has one or two spots left. In December I'm doing a Copy an Existing Garment class which should be fun (also filling up). Actually they are all fun - I am meeting some amazing and interesting people and enjoying every class. People who sew are the best! Maybe I am biased. Ha ha, biased, sad little sewing pun there. Check the website and see what might interest you, Jacket/Coat class also scheduled again in December. Happy Sewing, and try a little basting too! 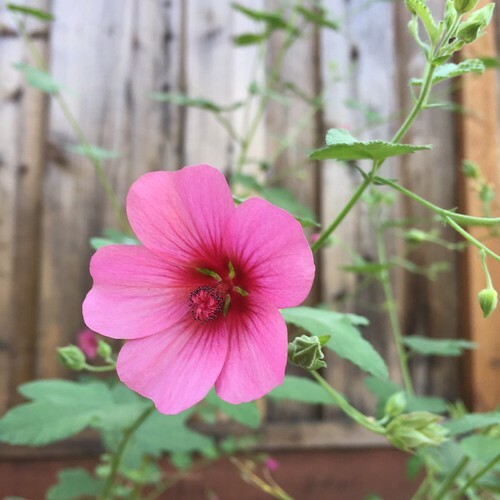 Today's garden photo, I got this mallow plant which seemed less than promising back in the spring at the local junior college's plant sale. 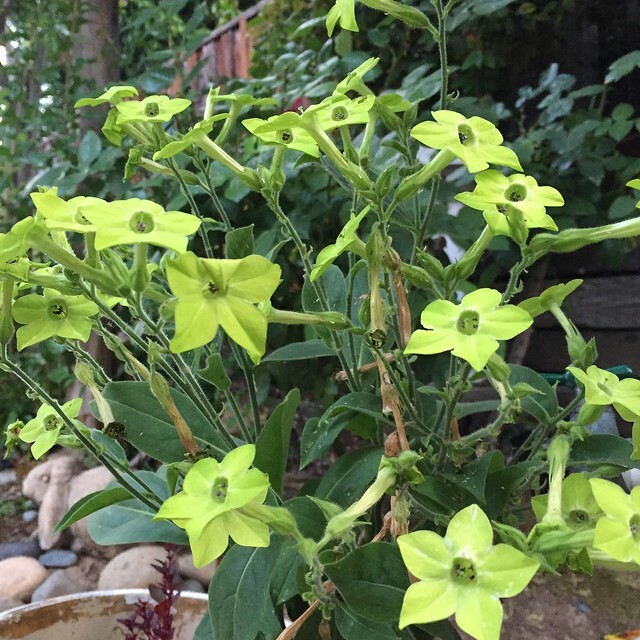 It was a spindly thing but now it is about 5 feet tall, and covered with the prettiest pink flowers. A winner, I will definitely get another one to fill in some other bare spots. Every once in a while I try to step out of my style rut. It could be trying a new silhouette, sometimes it means sewing up a different color than I would normally wear, or even a different fabric than I typically use. 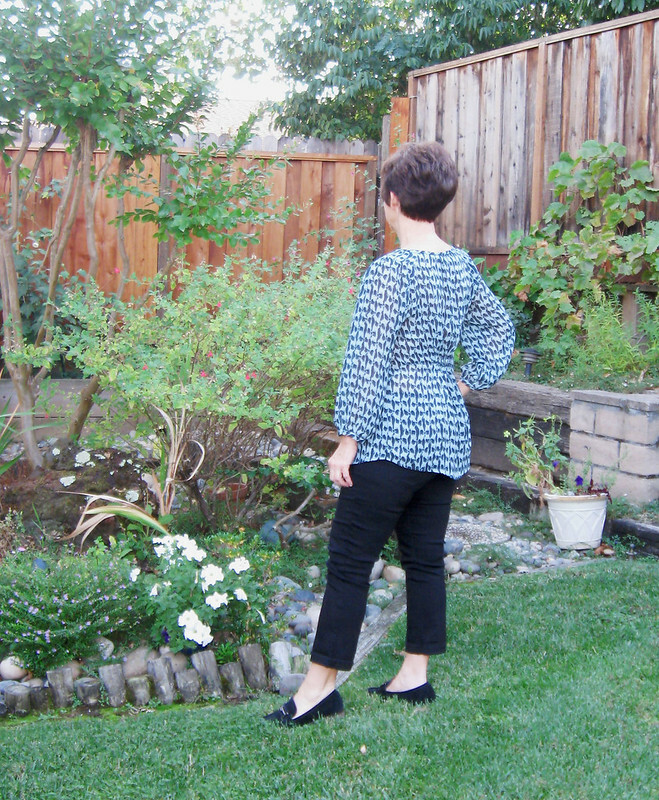 This blouse seems to fit into all 3 of those categories, as it is definitely a new shape, in a new-to-me shade, and a fabric I haven't sewn with in quite a while. I made this pattern a few months ago for someone else, and after I finished it I gave it a quick try-on just to see how it looked. Kind of interesting, was my initial reaction so I make some copies of the pattern, gave the original back to the owner and set it aside with the intention of finding some nice silk. However one day I was at Stone Mountain and found this polyester fabric in their upstairs bargain section, so for about $ 7 I figured it was worth a try. Since I wasn't entirely sold on the actual pattern. While I suppose it is a blue, it is an awfully tepid shade, I see it as grey. 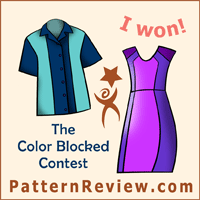 Although friend came over and saw it on the dress form, and said "I love that shade of teal blue". So I guess it is in the eye of the beholder what color things appear. A better look at it on the dress form. This fabric is on the sheer side, not see-through but more like chiffon than not. 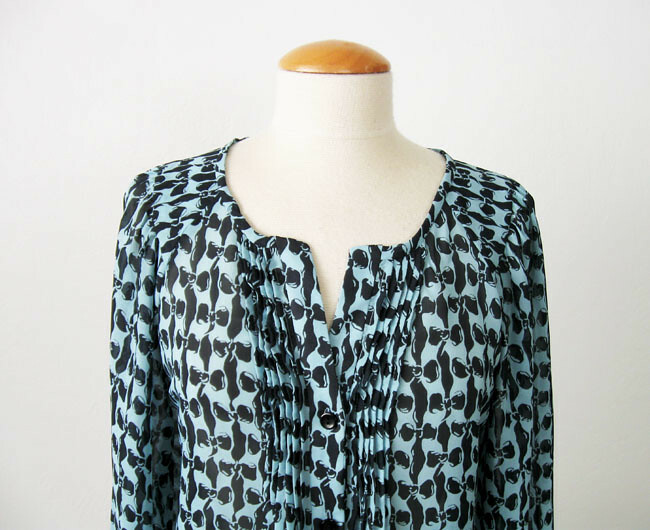 You can see where the layer is doubled, at the shoulder yoke and down the front button bands where it's more opaque. And this pattern has a lot of details. A surprising lot of details but that's what made it interesting to sew, and I think makes it look appealing when worn. It has raglan sleeves that attach into shoulder yokes, a button band which has a slight angle right at the top to create that V opening. And then there is the pleating. All those tiny pleats. Which are also on a slight angle, not straight lines. QUITE a task to sew and don't look to closely. Not exactly precisely even but I don't think anyone will ever notice. And then the back has some gathers at the neckline, and then a section at the center back where you stitch with elastic thread to create the ruching, plus it has vertical darts. Like I said, a lot of details. Which perhaps would show better in a solid color fabric but I think a print makes it easier to sew the little pleats in the front. Here's the pattern envelope. I think it is a few years old - maybe even 4 or 5 but fits into that boho style that is trending now. I didn't copy the other version, it looks a bit shapeless for my taste and has that elastic stitching on the sleeves instead of the flat yoke pieces. Speaking of shapeless, I sewed this a few months ago, and have worn it once but it felt so loose and too blousey on me. The other day I tried it on again and decided to take it in all along the side seams up to part of the sleeve. So I took out a seam about 1 inch wide on each side, tapering away to the middle of the seam under the sleeve. Much better, that raised the armhole considerable, and took out a total of about 4 inches in circumference. So now it's still loose and flowy but I don't feel like I'm swimming in it. And I made a size 12 with no adjustments, my usual size so it really is a loose style to start with. There's a look at all those little pleats down the front. They came out a bit wobbly on each version I have sewn, one in polyester and one in silk chiffon which I forgot to photograph. But that silk one was a challenge, although it came out nicely in the end. This is my go-to outfit when the weather cools off. A t-shirt or a top, some ankle length pants or jeans and loafers. Not quite dressing for autumn but in the evenings it is getting cooler. Ok we're still wearing shorts and sandals in the day so I can't complain. Ooo I don't like it when it starts getting dark early. So that's I have to say about this blouse, still not wild about it but perhaps now that I took it in I will like it more. To me the color is a bit drab, and the print/color/fabric combo are kind of geriatric to me. Also the neckline is just suited for this time of year, in about 3 weeks I will be wearing sweaters and lots of layers. Perhaps it is my short haircut but my neck is always cold once summer fades. Onward to the next thing. I am sewing up the Waffle Patterns Bamboo coat that I started for my Jacket class at a very leisurely pace, which is rather pleasant. We have another session of that class scheduled for Sat/Sun Dec 16-17. Maybe for that one I will make the one of the other patterns for one of the owners of the studio. Because I don't need any more coats! Although I will have another gorgeous coat in the works before this year ends - a little hint - my favorite European Indie designer has created another gorgeous one so I plan to sew that up for a friend. I saw on IG that Stone Mountain just got in a shipment of interesting printed silks so I think I will pop over there this week and check it out. Other than that I plan to make some new long sleeve tees and maybe a new dress before the holidays. 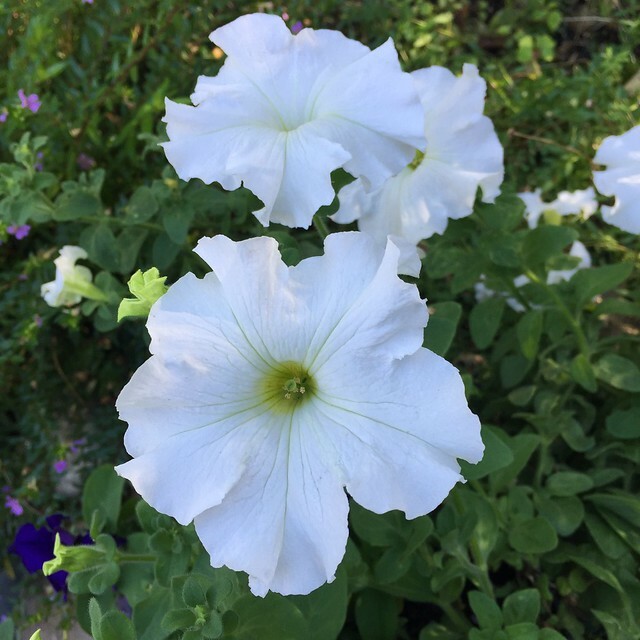 The garden is looking very crispy and uninteresting this time of year, however it was a great year for all my annuals, lots of blooms and this white petunia is still pushing out all kind of flowers. It's visible next to my feet in the pictures above. Some years the petunias are better than others and this year was a good one. Unlike the tomatoes - everyone had trouble with those but that is a story for another time. Thank you all for telling me what is the sewing step that you dread. It's really helpful to hear about which techniques cause trepidation. In fact in my sewing class last weekend we did a bit of sample sewing on scraps which always helps to get familiar with the technique on the specific fabric. Collars, collar bands, buttonholes in the collar band. 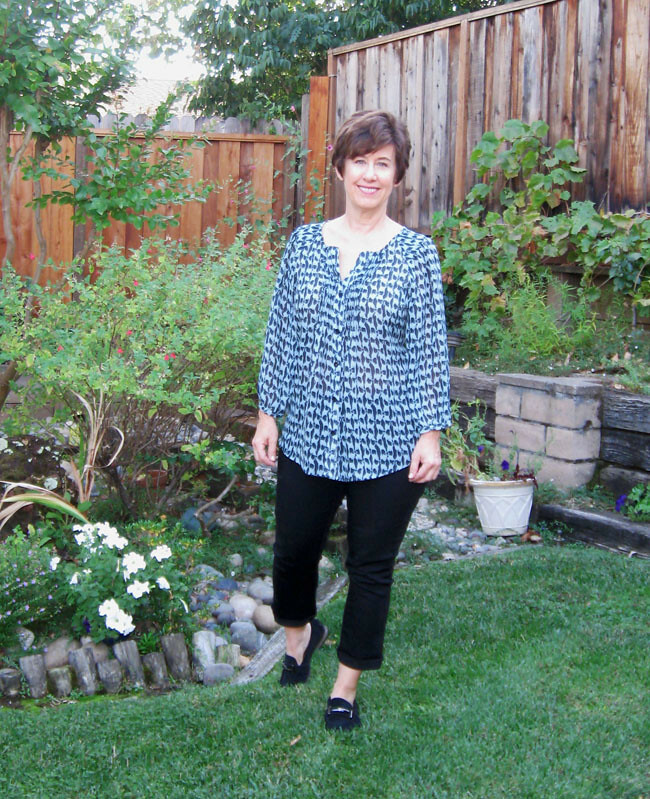 I just added a page to my blog with a list and links to all my Craftsy sewing blog posts. I'm starting to accumulate quite a few step-by-step tutorials there with enough to have subcategories on various topics. 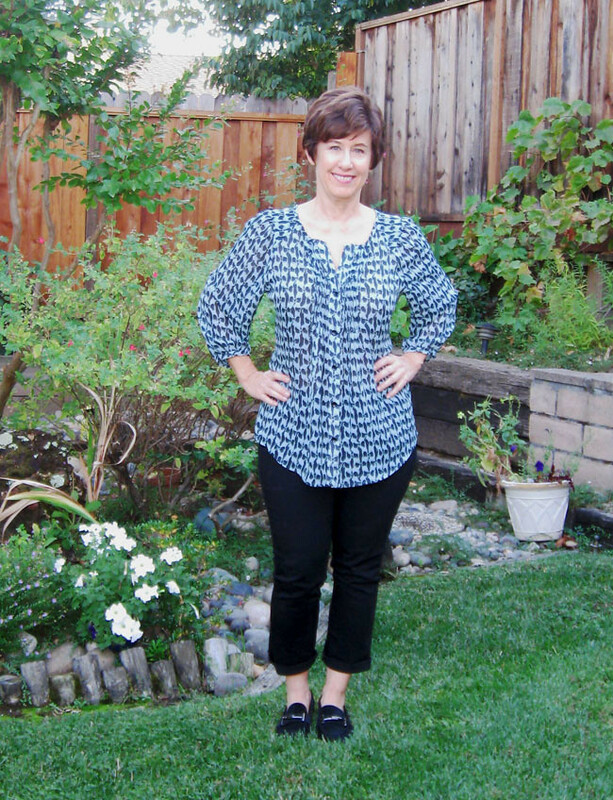 So note the link up top Sewing Tutorials on the Craftsy Blog, which will take you to that list. I'll add new ones as they are posted. I've written a couple of things about collars with some good photos so I hope those are helpful. As for buttonholes - now I have some ideas for new posts so those will be written in the next few months. Now for the winners of my little giveaway! Please email me and let me know where send them. Here's a picture I posted on Instagram after last weekend's jacket making class at Hello Stitch Studio. Kathy (who came up from LA for the weekend class !!) 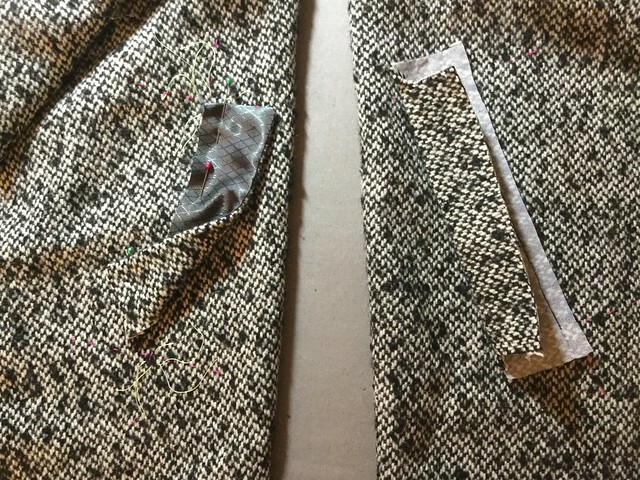 was making a white wool version of a pattern I have made, (my green wool jacket) and it's going to be so pretty. I did a demo of the buttonholes and then she made some practice ones on a scrap (which is a MUST in my view). And good thing - spot the problem. On the wrong side of the fabric, interfacing up :) However she got over that practice hurdle and the real ones are a thing of beauty! We have another session of the Jacket Essentials weekend class scheduled for December 16 & 17. And a new class, Copying an existing Garment on Dec 2 so that will be fun. I already know what I am going to use for my demonstration item and it will be a treat. 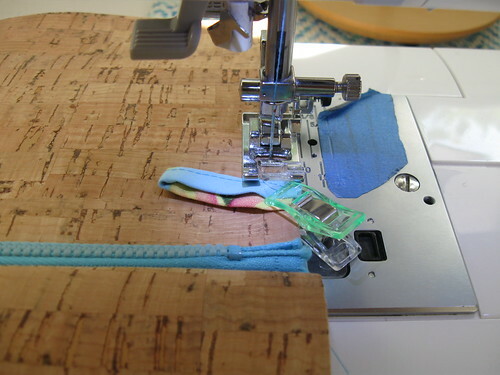 Here's a link to all the Garment sewing classes at Hello Stitch Studio. 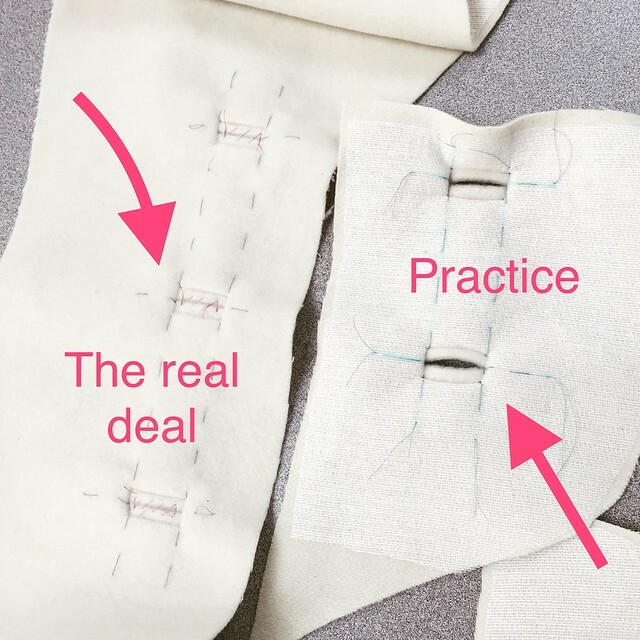 Speaking of posts on the Craftsy sewing blog, I had two posted this week which might be useful. What's on my sewing table? 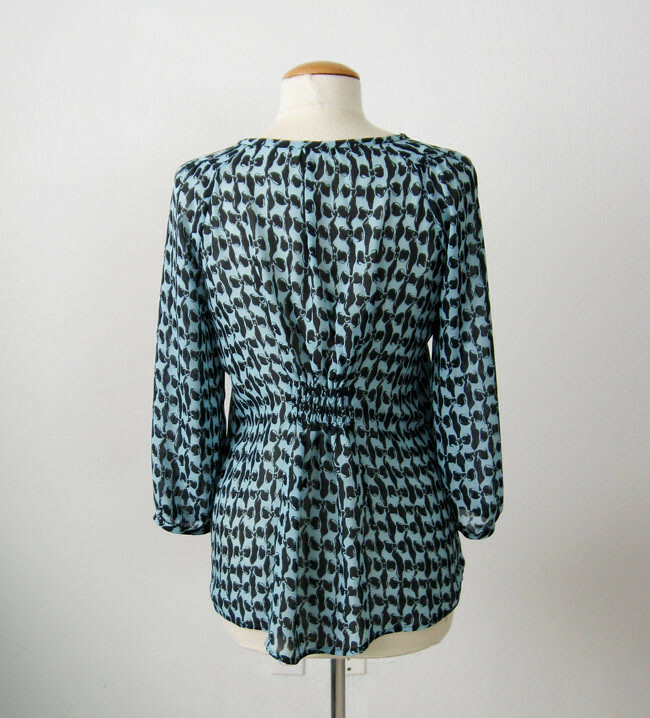 I'm finishing up the coat I started for the class which is Waffle patterns Bamboo coat. There are some things I really like about this pattern and others I'm not too wild for. Such as the welt pockets - to me a very goofy way to do them and I will talk about why in a future post. And I ended up doing them my own way - with good results. after that, some shirt making with all the luscious fabrics I bought at Mood last October.